Internal company politics can create a battle for real estate on the home page that may or may not be in the best interests of the customer or Digital’s P&L. Even if Digital has full control, it’s difficult to determine what to emphasize on the homepage to maximize ROI. It seems that one’s really clear on just what a homepage should be in the first place which makes it incredibly difficult to optimize for a KPI. In a test from the MECLABS Research Library, a large healthcare company was dealing with all of these issues and more. 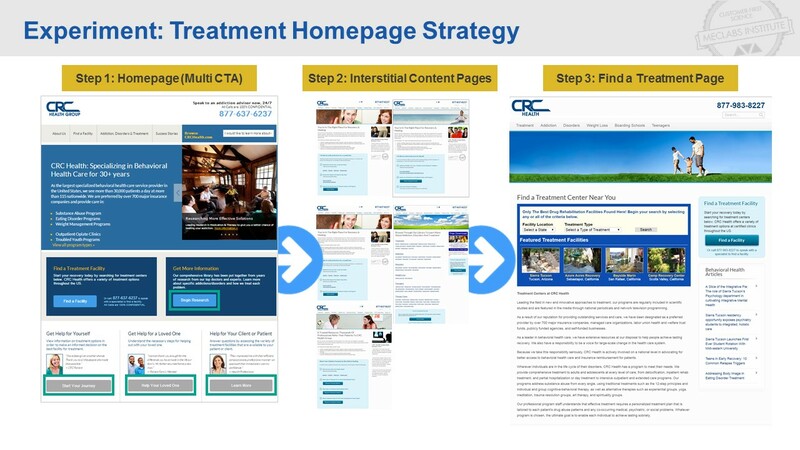 Their homepage was originally focused on a single objective – to get customers onto the “find a treatment center” page further down their funnel. The team, however hypothesized that due to the different customer personas coming to the page, a large portion of the visitors were not being properly served by the content on the homepage or the “find a treatment center” page. 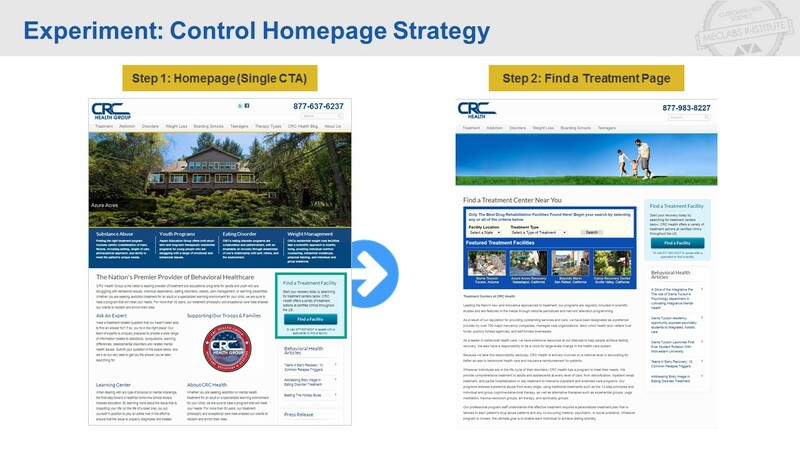 To remedy this issue, the team created a treatment that served multiple customer personas with separate paths towards the ultimate goal of landing on the “find a treatment center” page. When they pitted the two strategies against each other in an a/b split test, the results were significant. 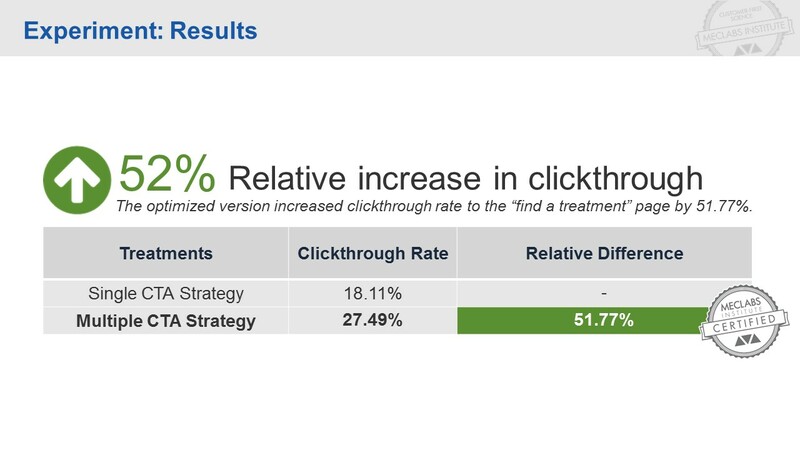 The treatment produced a 52% increase in clickthrough to the “find a treatment center” page. By simply making the shift to serve multiple customer personas coming to the page, and creating content to serve those customer personas, the treatment significantly increased the performance of the homepage.